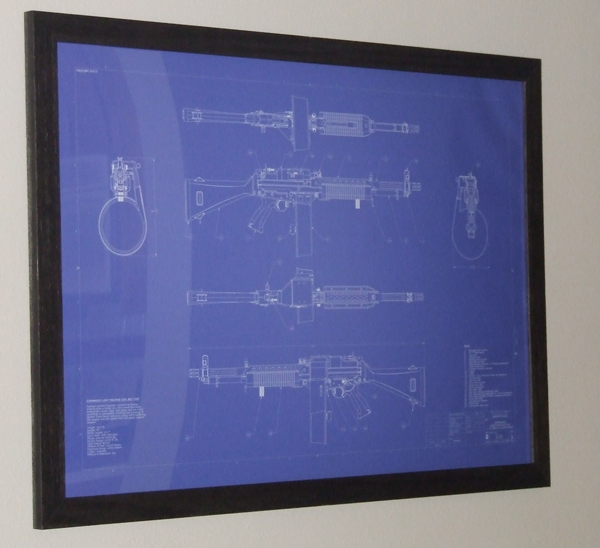 Weaponblueprints.com posters are the perfect wall decoration for your office, reloading room and man-cave. Each poster is unique, original, and can not be found any where else. Details on the creation of the posters can be found on the ABOUT page. Every poster we sell is 24 inches high by 36 inches wide (61cm X 91.4 cm). Posters are shipped using cardboard tubes with plastic end caps via USPS. Shipping to domestic U.S.A. locations is a flat price no matter how many posters you order. Go to the SHOP page to look at our currently available posters.